Keynote Address: “A Moral Analysis of the US Civil War,” Kit Wellman, Washington University. John Lango, "The Ethics of Armed Conflict"
"When Robots Rule the Waves"
Visitors can park in all designated visitors lots. The visitor lot closest to the McKenna Conference Center is on the south side of campus, across Eddy Street from the DeBartolo Performing Arts Center. 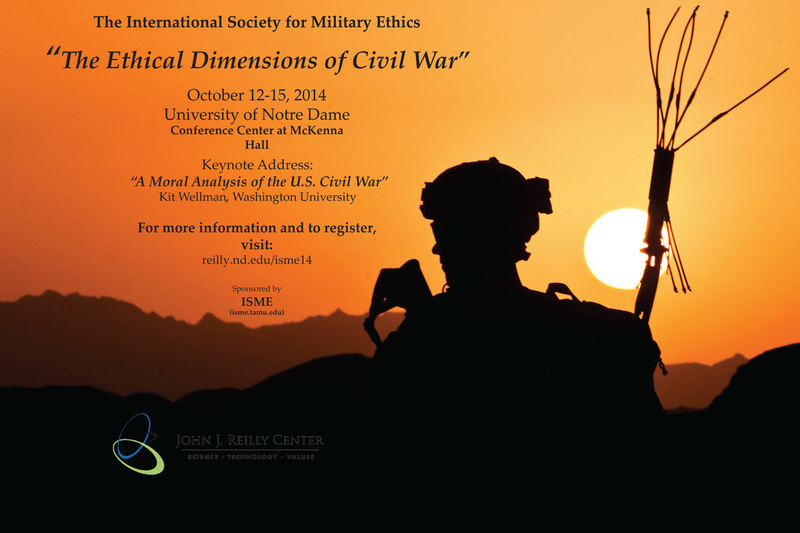 2013 ISME conference "Military Virtues and Contemporary Challenges"